"The heavens declare the glory of God; the skies proclaim the work of His hands." -- Psalms 19:1. "And God said, Let there be light!" -- Genesis 1:3. Disturbingly naive views of the age of the entire universe are also common among all sorts of people who haven't had the time or the inclination or the opportunity to familiarize themselves with the math and science and technology that allows scientists to make ever more accurate estimates of the size and age of the universe. However, just consider this, Gentle Readers. If we are helped by science to see the true extent of the universe, those of us who also believe that God created the universe must necessarily be awed and overwhelmed by the power of a creator who can whip up a universe on the scale of the universe we can observe with our most advanced scientific instruments. 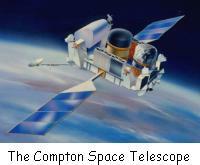 In this chapter I will get into the science and math behind some more amazing scientific tools -- the Hubble, Spitzer, Newton, Chandra, Compton, and James Webb Space Telescopes. That's right! 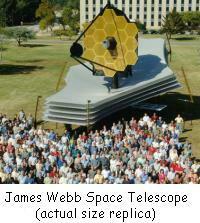 The famous Hubble scope is not the only space telescope. 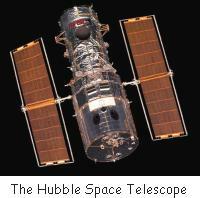 In fact, as I type these words on August 25, 2008, it is the Spitzer scope that is in the news. That's because today is the fifth anniversary of the launch of the Spitzer scope. So let's begin with a little bit of the simple science and mathematics that explains what these space telescopes can "see" as they orbit in space near the earth. As we all learned in high school general science, our eyes can detect only a very small portion of all the radiation from space that arrives on earth. In addition to visible light, our planet is also bombarded by "invisible" forms of light such as infrared and ultraviolet radiation, x-rays, radio waves, microwaves, and even gamma rays. By the way, all of these forms of light are known as electromagnetic radiation. Some of these forms of light are pretty much blocked by the atmosphere and the ozone layer; others reach the surface of the planet pretty easily but are often somewhat distorted by the fluctuations in the atmosphere. In general, however, if we want to be able to detect all these forms of radiation, we need to send a telescope into space where there is no atmosphere or ozone layer to block or distort our "view" of the various forms of light reaching us from the far reaches of space. So let's shift gears to a little simple mathematics. When we look at the stars, we are actually seeing them as they looked when their light set out towards us. As everyone learned in high school, light traveling along through the vacuum of space zips along at 186,000 miles per second. That means that a beam of light can circle the earth at the equator 7 and 3/4 times in one second. Another way of imagining the speed of light is to realize that, even though our Sun is about 93 million miles away from our planet, it takes only eight minutes for sunlight to reach us. Never fear, Gentle Readers, there is more simple math on the way in the next paragraph. So how long would it take us to send a space probe out to our nearest neighbor star which is about four light-years away? The name of that star is Proxima Centauri, and most astronomers say that it is 4.3 light-years away from our own sun. Once again, this is really simple math. 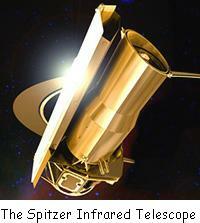 The fastest speed we have achieved so far for space probes is 158,000 miles per hour. Four light-years is a distance of about 23 trillion miles. 23 trillion miles divided by 158,000 miles per hour gives us an estimated time of 145 million hours to complete the journey. That's about 16,500 years to travel the four light-years to the star nearest to our sun. That's three or perhaps four times longer than the entire history of human beings on planet earth! Actually, the light we see arriving from Proxima Centauri today started its journey towards us when Neanderthals were still living in ice age caves in Europe.